Lendwithcare provides entrepreneurs in developing countries with ethical loans to enable them to work their way out of poverty with dignity. The wonderful thing is that, being a loan, the money is repaid, allowing you to help people to help themselves to develop a business and at no cost to you, the lender. And with interest rates so low there is no better time. How it works. It starts with an idea. A farmer may need a loan to buy a tractor to increase crop production or to buy livestock or fertiliser. A local women’s group may wish to buy materials to sell in a shop or market. A workshop may need to repair or upgrade machinery. You can choose to lend by country, gender and groups/individuals. The entrepreneur requests a loan from a Lendwithcare partner who is a microfinance organisation. Once approved, details of the loan requested are posted on the Lendwithcare website. Potential lenders then choose whom they would like to lend to and what amount. A typical loan would be £15.Once the entrepreneur is fully funded, the loan is made. Regular updates are posted to the website and the lender receives a monthly email listing repayments made, and the new credit balance of the lender, which can be withdrawn or used to fund another loan.Lendwithcare is currently working in ten countries. See how Lendwithcare works here. Lendwithcare is an initiative of poverty fighting charity, CARE International UK. CARE is non-religious and non-political, allowing it to deliver humanitarian and development assistance to anyone in need regardless of race, gender, ethnicity, age, religion, political view or sexual orientation. CARE has been working on microfinance for more than two decades and has pioneered Village Savings and Loan Associations (VSLAs), which enable people in poor communities to save and borrow money – meaning they can plan for the future, and get loans to start up or develop small businesses.The real potential of microfinance is still to be realised. Most of the world’s poorest people still have no access to basic financial services – and little hope of lifting themselves out of poverty. 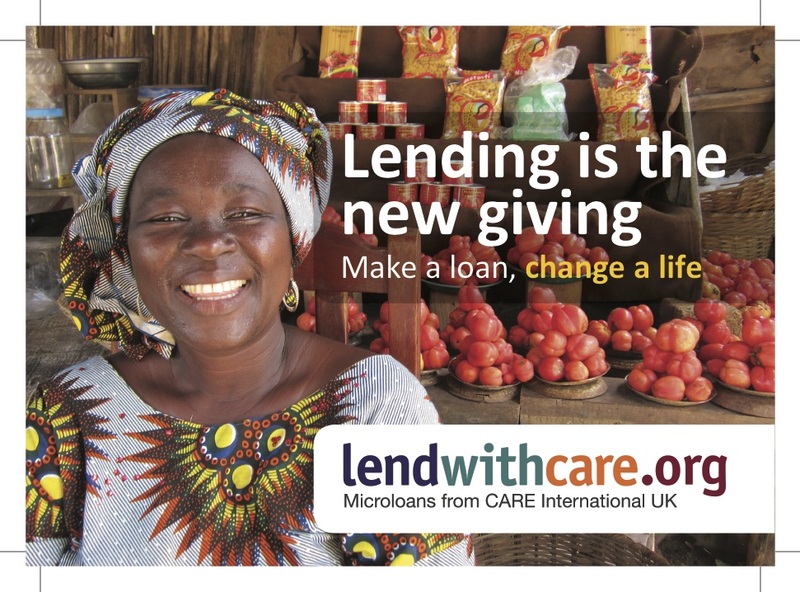 I have been supporting Lendwithcare now for seven years and have increased the amount of lending each December. The web site tells me that over that period I have made 124 loans to 364 entrepreneurs. This has helped 1299 family members and 470 jobs have been created. Yet it has cost me nothing! To date, all of my loans have been repaid or are in the course of repayment. Not a single entrepreneur has defaulted! For more information on Lendwithcare, please follow this link. And remember – aid creates trade, trade builds friendship, friendship leads to world peace.